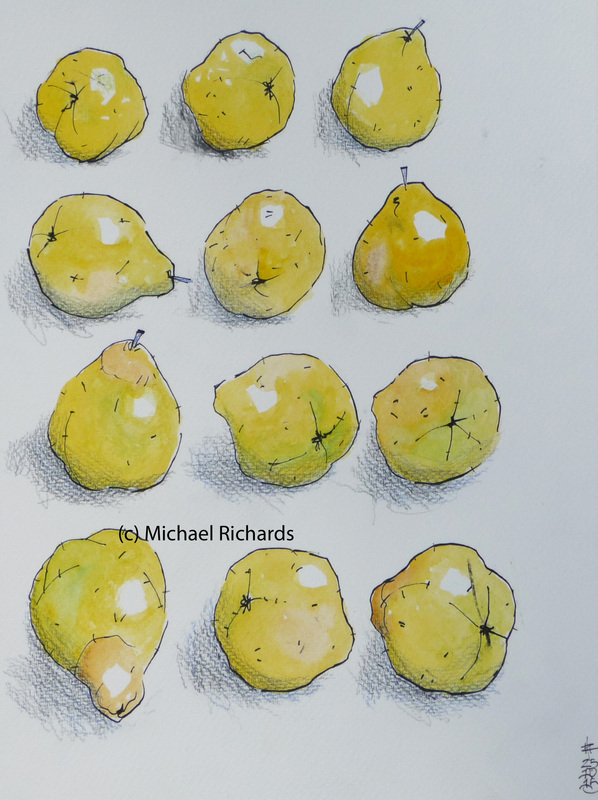 This year I didn’t have to drive around the country lanes of Suffolk looking for unwanted quinces, left at garden gates with a sign saying “Help yourself.” This year my own tree – encouraged by the hot summer – had its own bumper crop. I’ve no idea what it is about them that I find so alluring. 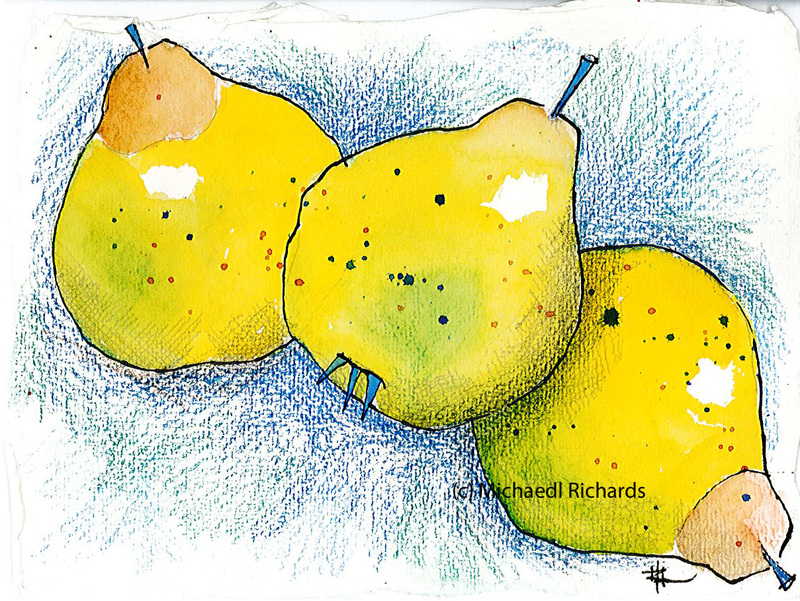 Perhaps it’s their irregular shape: sometimes bulbous and knobbly, sometimes like tight yellow apples, sometimes golden pears. It could be their range of colour, from orangey-gold to clear, bright cadmium yellow through pale greens, their bruises turning from a rich reddish-brown to the darkness of old varnished oak. There is also a certain mystery about the noble quince. Is it ripe yet? Wait for the distinctive scent and the pure yellow colour, my neighbours said. But they rot from the inside out: cut open a fruit that looks perfect on the outside and the flesh is already turning brown. And that scent: so long absent, then suddenly there. The downy skin and the gentle perfume, like the touch and scent of a baby’s head. It smells, too, of the sun and the south, of shady gardens in places where you’d like to be – far away from your computer and your workload and your deadlines. The scent, in short, of contentment, of joy, of delight. This year I decided not to risk making my own jelly or marmalade, which always results in several jars of quince syrup. Instead a much more competent friend agreed to make it on my behalf. The first results of this arrangement have been jars of golden jelly, fragrant as the fruit itself, looking like a fairy tale gift when held up to the light. Do I exaggerate the wonders of quince? I think not. It’s very possible I was put under some spell that holds me in thrall to their beauty, that I’ll admit. 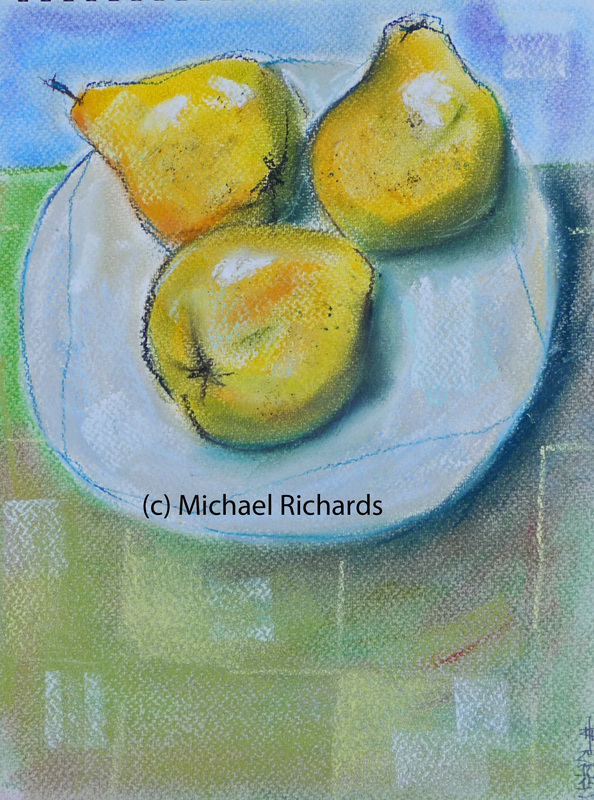 I never tire of drawing and painting them, as long-standing readers of this blog will know. I bet that breakfast in Heaven is quince marmalade on Pump Street Bakery sourdough bread, lightly toasted. Lunch will be Rebecca Charles’ lobster roll. The Czech painter Vladimir Kokolia is also a teacher, one who is generous with his ideas about drawing and painting. His own paintings, now on view at the Ikon Gallery in Birmingham, are beautiful, shimmering evocations of nature. They’re the sort of pictures that critics and art historians struggle to describe, their clumsy words bumping up against his luminous paintings like moths against a light. They exist in that beautiful space between the figurative and the abstract: a place that is difficult and perhaps even dangerous to reach but once you’re there it’s as radiant as a spring morning. 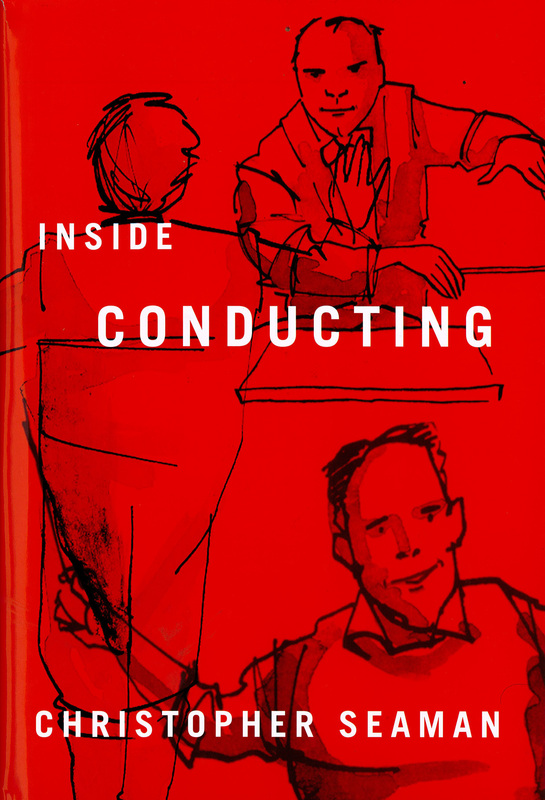 My life drawing teacher, growing impatient with my attempts to draw the woman that was in my head instead of the one sitting in front of me, once said, “I pay for the f***ing model – you might want to look at her now and again!” Why don’t we look? Why can’t we see? Why do we struggle to describe what is actually there given that the language that we use is one we have devised ourselves? 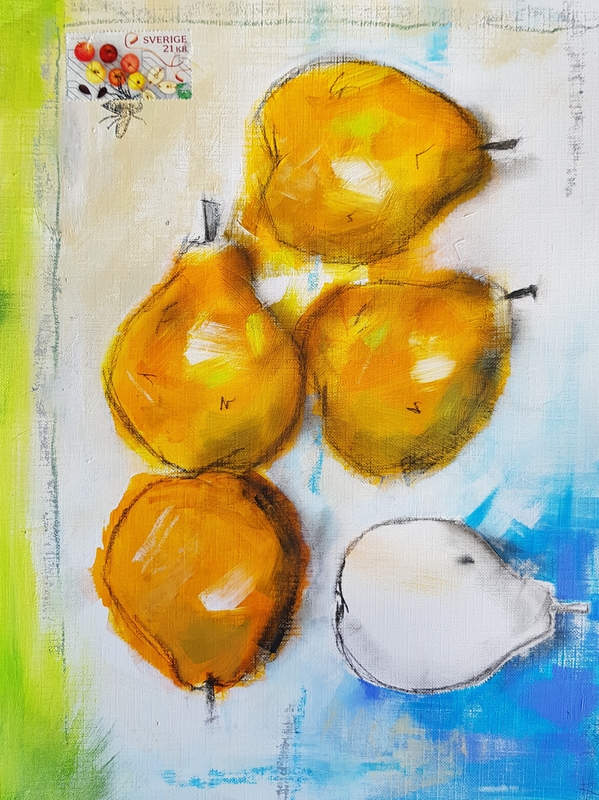 That’s why I love to paint fruit. I strive to describe the ‘quinceness’ of the quince, the ‘pomegranteness’ of the pomegranate, as I see them. Not that my way is any better than yours but it’s surely different, and to me it feels somehow important. Kokolia’s way of looking at the ash tree, all shimmering greens against a grey and white background, is (probably) more interesting than a photograph. He invites us into his world: he has transformed this ash tree in rural Moravia into a flat plane of twisting colour and form; we on our side must interpret this plane as a three-dimensional tree in that world between what we see and what we feel, between the figurative and the abstract. Many years ago I went to a party in the house of a famous rock guitarist in London. I didn’t know anyone and they didn’t know me. For a while I wandered around with a glass of wine in my hand and even, for a while, hid in one of the bathrooms wondering how I could make a dignified escape. Then, in a distant room in a dimly-lit corner, I came across my two best friends (who had invited me). “Where have you been?” they asked, “We’ve been looking for you everywhere.” Sometimes creativity feels like a you’re a guest at a party where everyone knows each other and you know no-one, then you turn a corner and find that, yes, you do belong here after all. When an apple is past its best it becomes a weirdly wrinkled thing. 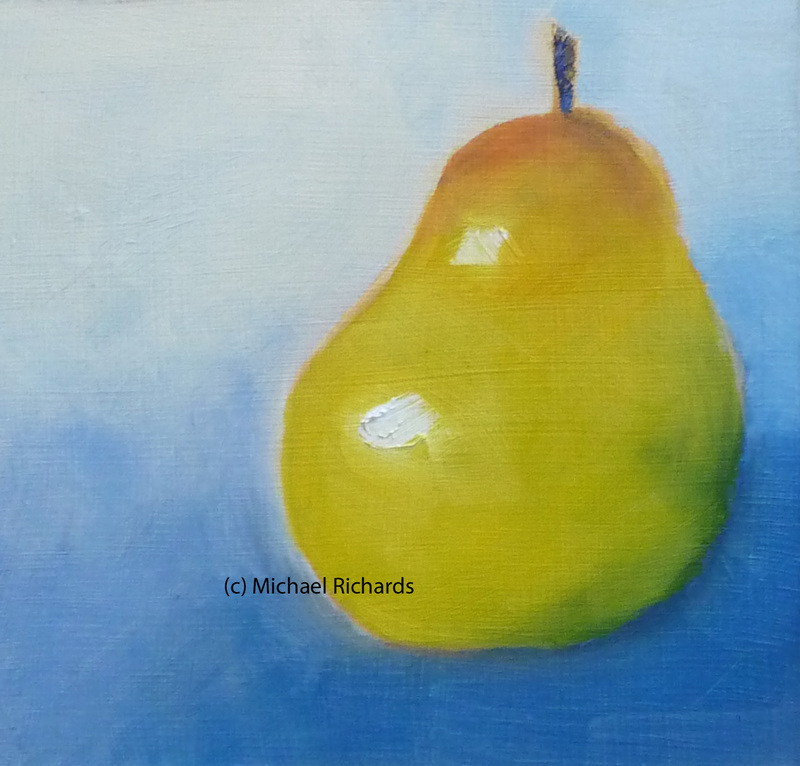 A pear ages particularly badly, appearing to be whole but beneath that perfect skin lurks a mushy interior. Grapes shrivel, pomegranates go brown and foul-smelling when cut open, mangoes turn into ochre bruises. 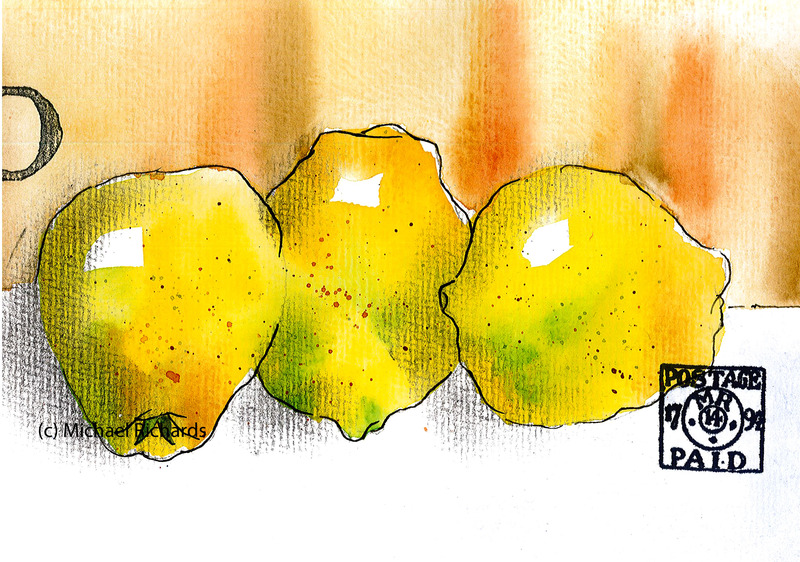 Quinces, however, are altogether different. They rot dramatically, their agony written across their flesh like a medieval martyr. Sometimes they split and the edges turn inwards as they discolour, producing a dark blue chasm that reaches down to the heart of the fruit. 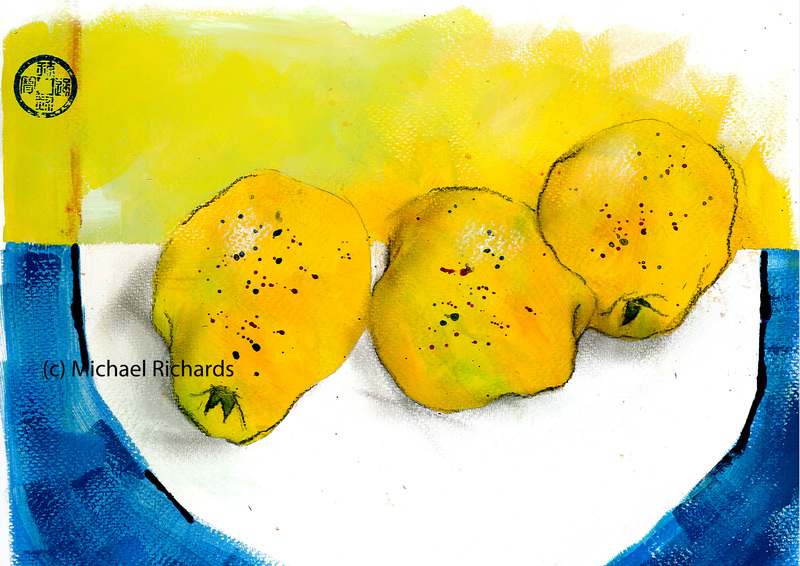 There is a faint smell of early morning in Spain around your fruit bowl as the dying quince starts to decompose. That beautiful yellow skin acquires brown spots, the base seems to turn inwards and produce bulbous curves like babies’ fists. 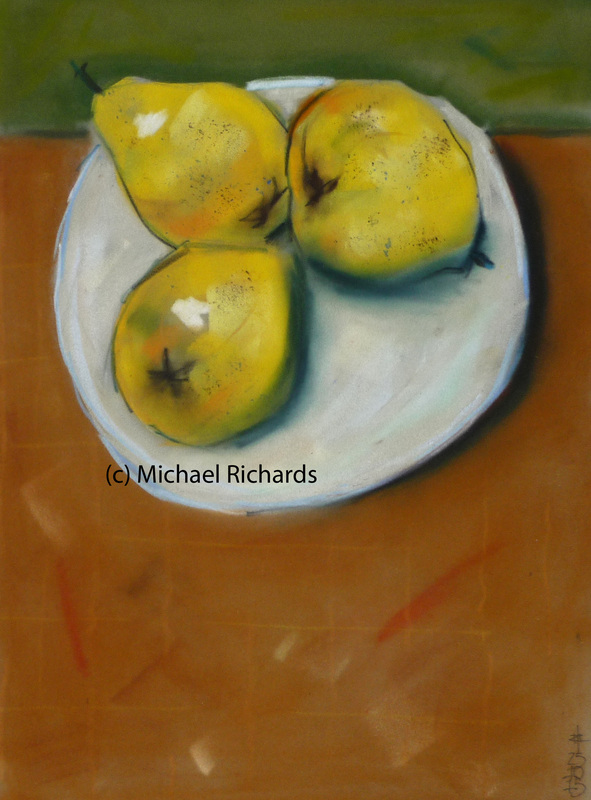 Those of you who have followed this blog for a while will know of my adoration of the quince. 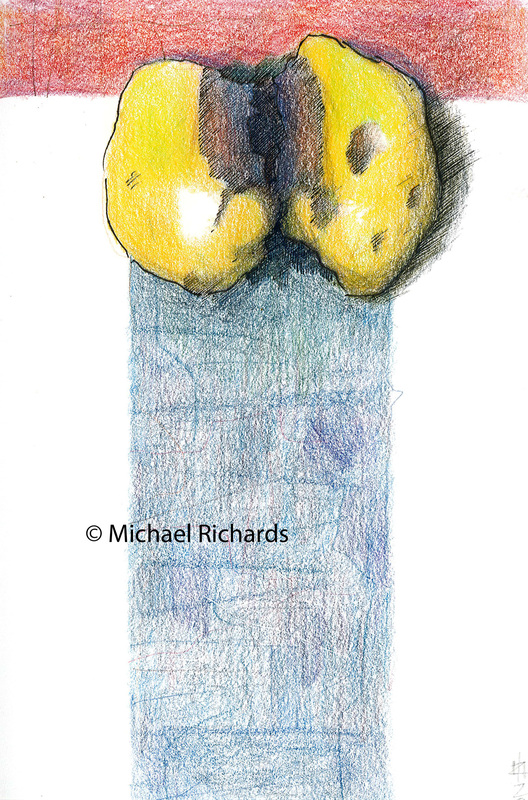 This fine example – the only fruit from a tree in my ex-wife’s garden – was irresistable. Wearing its fatal wound nobly it nevertheless tried to last the season, ripening in the south German sunshine. I wanted to commemorate its will to survive. I’m still out there trying to move my art practice on to a different path: my heart wants to explore but my hand wants to draw and paint like it has for the past few years. 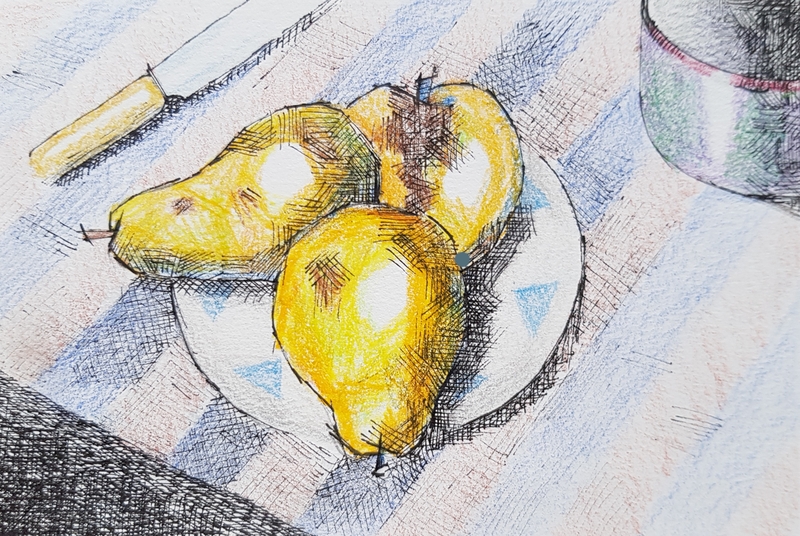 This drawing is a good example: I had intended it to be a semi-abstract acrylic, it came out as an ink and coloured pencil illustration. Then again, any representation of this wonderful fruit is worth your time. At least, that’s my view. Longer-term followers of this blog will know that I have something of a weakness for the noble quince. Apparently (Wikipedia informs me) some ancient texts maintain that the fruit Eve plucked from the Tree of Knowledge was a quince rather than an apple. I’d rather not contemplate that such a beautiful fruit could be instrumental in our fall from grace. To me it feels more like the sort of thing that would appear in fairy tales. Its sensuous shape, wonderful colouring and aromatic scent would be ideal for an enchanted fruit given to a young prince by his evil stepmother. One bite of its bitter flesh would be enough to put our sensitive hero into an endless sleep. Until, that is, some ten years later when a beautiful young princess from a neighbouring kingdom passes by with, unusually, a jar of quince jelly about her person. She rubs a little on the prince’s lips and his eyes flicker open, focussing slowly on the lovely features of his saviour. The wicked stepmother is fed to the bears (there are always bears in these stories), and the prince and princess live happily ever after, not having to bother with any of the things that make our lives so challenging. So there you have it, the beautiful quince as poison and antidote. It does seem a lot for a harmless fruit to carry. I realise that creative people are always being asked to work for nothing, either for a good cause or to ‘raise your profile’, but here is something which doesn’t take long, is great fun and contributes to a good cause. The Twitter Art Exhibit is the sixth incarnation of an open international exhibition of postcard art which benefits a different cause each year. The 2016 exhibition will be in New York City, so if you have a few moments to create a 16cm x 12cm piece do follow the link and send something in. That, I promise, will be my last quince posting for this season*.